Store Hours: Mon - Sat: 10:30 a.m. - 6:30 p.m.
No website was found for this store. Are you this book store’s owner? You my easily make this page your wesbite, by registering a domain name and having it point here. Contact us and we’ll explain how. While our goal is to provide you with accurate information, it is possible some of the information here is out of date or incorrect. If you are aware of any errors please send them to troy@aalbc.com or enter any inaccuracies or missing stores in the comments section below. Please contact the book store directly to confirm any information provided here. 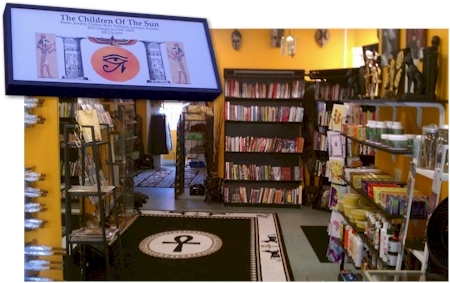 The Children Of The Sun’s information was last updated, by Troy on, Jun 10, 2014. Read Why This Book Store List is so Important.